Staff directed the girls in a series of activities to teach vocal technique and taught songs on the spot featuring a variety of tempos, styles and texts. An YNS alumna and current elementary music teacher served as a guest clinician for the night. 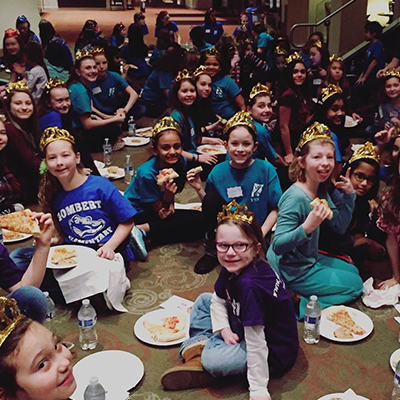 She shared her passion for singing, being confident and teaching how music helps girls embrace their “inner diva.” She also coached the girls to connect to their inner beauty and emphasized that they are each special and unique. Approximately half of the girls were YNS members. They served as mentors and leaders by greeting girls when they arrived and ensuring everyone felt welcome. Diva Night concluded with a free demonstration concert for family and friends, including performances by YNS choirs.